Why are we witnessing an epidemic of mental illness in kids? As a child and adolescent psychiatrist, I frequently encounter parents and skeptics who freely share their opinions that much of the reported crisis in children’s mental health is fabricated…a marketing scheme of the pharmaceutical industry, a consequence of poor parenting or misplaced priorities on the part of families. Opinions such as these endure because anecdotal data in support of them can be relatively easy to find. There’s an argument to be made that drug company marketing in support of long-acting ADHD medications led to a spike in the number of kids being diagnosed in the early years of the last decade. I see parents who come looking for the “magic pill” to fix their child’s problems and recoil when family-based or behavioral interventions appear more appropriate. I spoke to a colleague recently who quit her job in a publicly-funded clinic because she was sick of parents who needed her to declare their kids sick so that they could obtain disability payments from the government. But these situations are by far the exceptions as opposed to the rule. I spend my days dealing with kids with real disabilities accompanied by well-meaning parents who more so than anything desire the best for their kids and are willing to try the strategies our practice team recommends. Rates of mental illness are a reflection of the struggle kids and families face in responding to the external demands placed upon them by our culture. I have a very hard time with the concept of first graders carrying planners. One of the biggest changes I’ve seen in my 30 years as a doc is the increase in the productivity expectations schools place upon kids. My youngest daughter had about the same volume of homework in the first grade that I had in the seventh grade in what was then an elite public school system in Ohio. Most kids that I see with ADHD come to my office because of problems with organizational skills and work completion. Kids getting diagnosed with the condition have genuine difficulty keeping up in school. The biggest change I’ve seen in the composition of my practice involves the number of kids struggling with anxiety. The pressures to succeed both academically and socially are unprecedented. The general breakdown of the family…the maladaptive choices parents make in seeking to fill the emptiness in their lives have consequences for kids. This is the primary reason I quit doing community mental health. My typical referral when I worked in a public mental health center…Single mom comes in (she has five kids by four different guys and is currently living with a boyfriend unrelated to any of her children who beats her on a nightly basis in front of her kids) with her seven year old who was suspended for fighting on the playground. I was far more overwhelmed by the level of spiritual poverty working in the city than the economic poverty our families experienced. 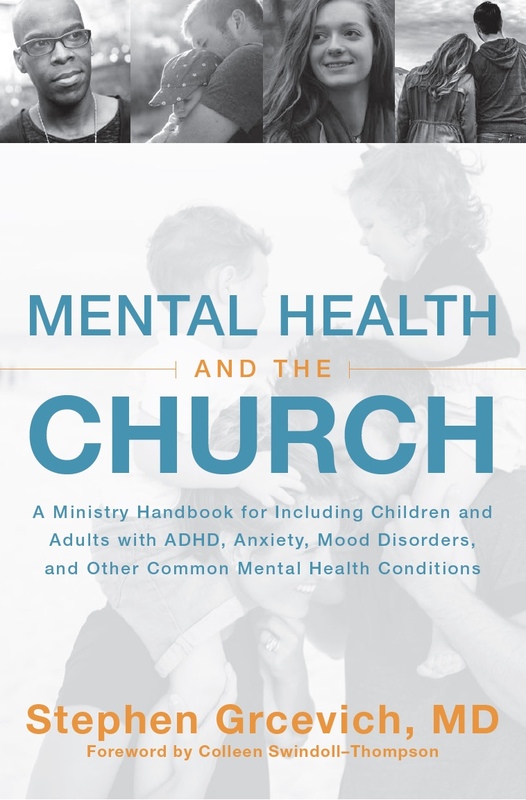 I concluded that many of the families I was working with needed a pastor more than they needed a psychiatrist. That observation also holds true with lots of affluent families from the suburbs. The consequences of a post-modern culture with an emphasis upon relative values and the lack of moral absolutes. I spend much of my talking to kids and teenagers who may be anxious, depressed or suicidal. Just to be clear, I’m absolutely convicted that God’s way works and the rules and standards for living in the Bible exist for our own protection. With that said, I’m probably not going to get very far making that argument with a teenager, even (in most instances) kids from Christian families. The destruction accepted standards of right and wrong behavior make things worse for kids with vulnerabilities to anxiety or impulsive behavior. This comes into play when kids fail to appreciate the intensity of emotions they’ll experience when sexual boundaries are crossed. Many don’t yet have the necessary emotional maturity to manage the intensity of feelings when relationships become sexual. Kids who think too much or have a difficult time letting things go often become depressed or exhibit self-injurious behavior in response to the ups and downs of relationships. The breakdown of standards of absolute right and wrong has resulted in kids (and parents) exposed to problems and situations that they’re not equipped to deal with…a situation that frequently precipitates symptoms of mental illness in teens who are vulnerable. Better recognition of symptoms of mental illness among educators and professionals. Unquestionably, this is a big factor…except for autism, where studies have suggested that only a small percentage of the increased prevalence of the condition can be attributed to better diagnosis. Pediatricians in particular have become much more proficient at identifying kids at risk for conditions such as ADHD and depression. The interplay of environment and genetics. We know that kids exposed to alcohol and tobacco in utero are likely to develop ADHD and experience learning disabilities. A landmark study demonstrated that exposure to tobacco smoke during the third trimester of pregnancy appears to be especially toxic for children with two identical copies of a specific gene associated with ADHD, resulting in an 8-fold greater risk of the condition. As the church, we’re called to share God’s love with kids with mental illnesses and their families, REGARDLESS OF THE CAUSE. 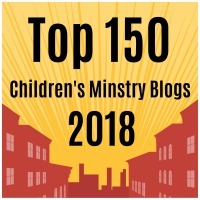 This entry was posted in Advocacy, Controversies, Hidden Disabilities, Key Ministry, Mental Health and tagged children, children's ministry, epidemic, Key Ministry, mental health ministry, mental illness, moral relativism, student ministry, teens. Bookmark the permalink. 4 Responses to Why are we witnessing an epidemic of mental illness in kids? I really enjoyed reading this and do concur! I highly agree with this hypothesis. Our eldest daughter of four; a stepdaughter i raised as my own, (from age four), suffered from living in a dysfunctional home the first part of her life, and was ten before she knew anything of Jesus. The cast was set and much damage was done. Raised dysfunctionally myself, it was several years before I knew how to parent in a Godly way, which created more damage! She will soon be 49, and sad to say, she never recovered from alcohol and prescription drug abuse. I believe she and I both struggle with PTSD from our upbringings and my other three struggle with clinical depression, anxiety, and more; (as did my mother, and hers). God has brought function back into our home, at long last, but we also all take meds. I went off mine after several years, but after a few years, following a “family intervention”, I began taking them again. One of my daughters fought it far too long, and her life is much more pleasant with medication. Dysfunction follows dysfunction; and only God can cure dysfunction. And I believe sometimes, medication is necessary, but maybe not to the point that it is easily accessed today. One of our daughters was medicated for awhile, but is now able to be med-free, praise God! Very interesting read,there were some good points made.I also believe every situation is different,plus with the way society is today, I’m sad to say alot of times,it’s a me me world ,alot of people would rather ignore the children who are less fortunate, meaning coming from affluent homes,etc.I know I was raised to always be kind to everyone, which am so grateful for being taught this at a young age.Everyone on this earth needs to step up to the plate and make a difference in all children. AS I said in the beginning,people are selfish and selfcentered,Until everyone steps up things won’t change.Theres too much bullying that goes on also,schools should emphasize more on these situations,meaning,make a mandatory class teaching love to each other no matter who you are. This article is not talking about long term mental illness in adults. What Dr, Grcevich does share truly highlights the increasing statistics of mental illness in kids/teens and the real root of many of those issues. I have followed Dr. Grcevich’s articles for a long time and he is tremendously respected in my book on mental illnesses and disorders.